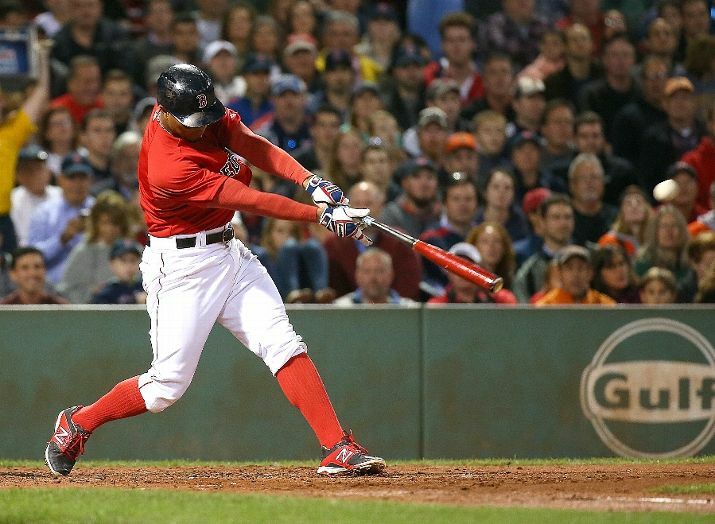 Xander Bogaerts won the American League Silver Slugger award at shortstop on Thursday night. He was the lone Red Sox representative to do so. Bogaerts hit .320 with a .355 OBP, .421 slugging percentage, .776 OPS, 7 homer runs, 35 doubles, 3 triples and 81 RBIs. This was his first Silver Slugger award. Bogaerts also hit an outstanding .386 in 70 at bats with 2 outs and runners in scoring position. He lead AL shortstops in hits, RBIs, batting average, and doubles. This was a year of great leaps for Xander Bogaerts. His defensive improved, he became the professional hitter we all thought he could be (minus the power), and was an All-Star caliber player (despite his ASG snub). Winning the Silver Slugger certainly puts an exclamation mark on a fantastic season by Xander. Thoughts on the Silver Slugger winner? Click here to read more posts by Ian Vescera.